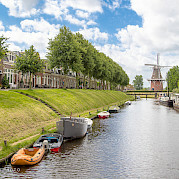 On a small Dutch hill, overlooking four rivers, is Zwolle, a lovely Hanseatic town and the perfect setting for this bike tour in Holland. 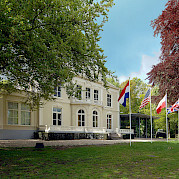 The province of Overijssel is one of the most scenic provinces and varied landscape in Holland. 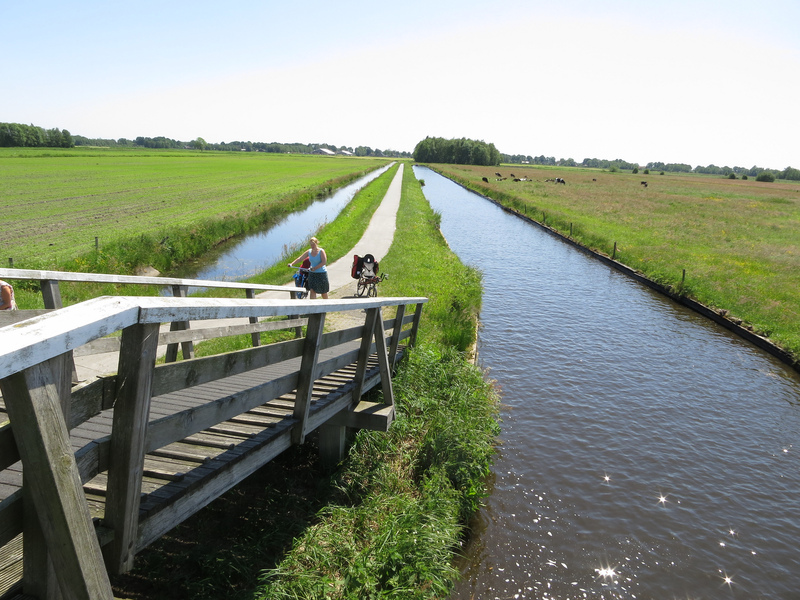 On this tour, you will bike like the Dutch in some of the locals' favored places. You have three options for accommodations for this tour, the Pelser Tower, a renovated medieval defense tower, the luxurious Hotel Bilderberg Wientjes, or the Hotel Fidder. The town itself has a beautiful medieval center, with lots of well preserved and archeologically interesting buildings. Although most of the city wall no longer exists, there are still some of the gates and towers surviving. 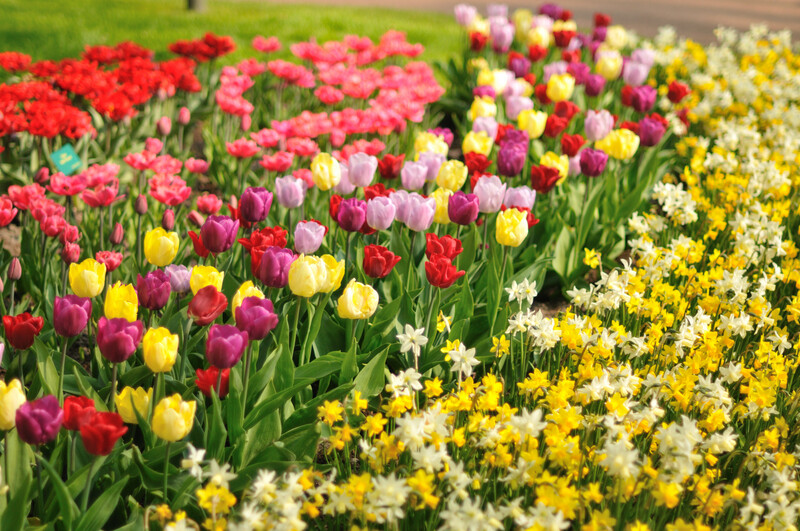 The Veluwe Forest Area, the National Park of the Wieden, the IJssel River and the lowlands near Lake Veluwemeer are all within cycling distance as well as the Hanseatic towns of Kampen, Hattem, and Hasselt and the picturesque villages of Giethoorn and Elburg. You are provided route descriptions and maps for four cycling itineraries and you choose what you would like to do each day! 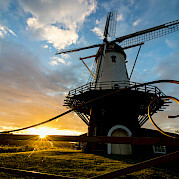 Click this link to browse all of our bike tours in Holland! *Price depends on time of booking. Please contact us. Please check local conditions before your arrival. A good website to research weather related facts in the area you will travel is weatherbase.com. 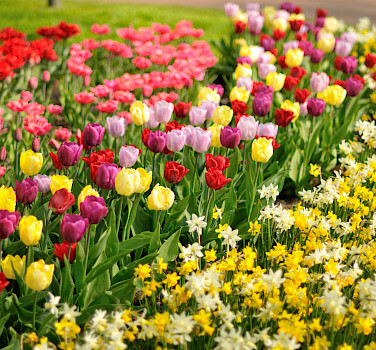 We definitely recommend to arrive to Amsterdam and spend a day or two there and then booking an extra night before your tour hotel. This is an easy self guided bike tour based in one hotel. You will bike like the Dutch on the wonderfully maintained cycle network. On this tour, you will decide each day which route you would like to cycle. 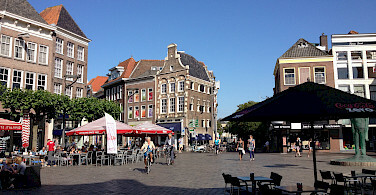 In the morning, you will be met at the train station of Zwolle for a very thorough tour explanation including an explanation of the pre-programmed GPS device which will ensure a relaxed and stress-free tour. 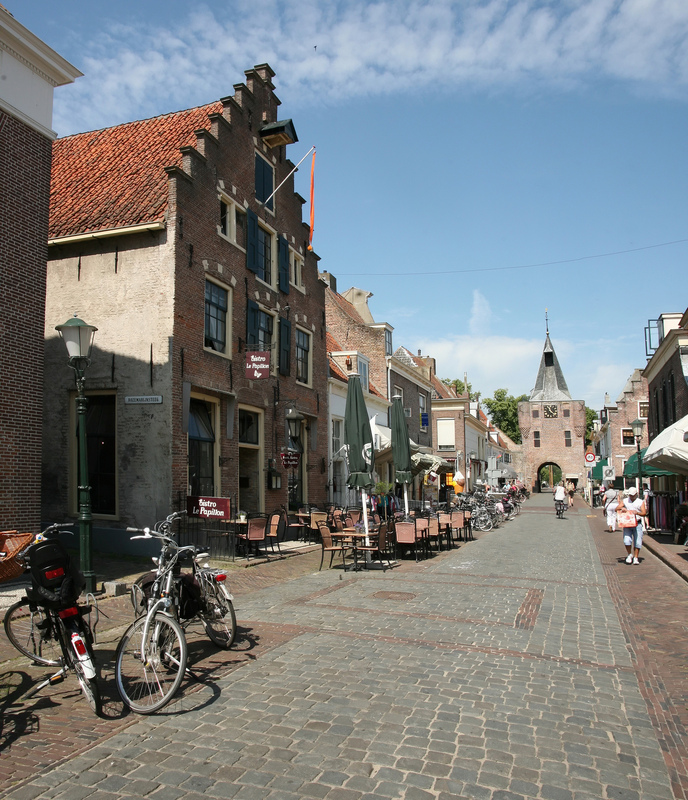 You can begin biking on this first day through the old historic town of Zwolle while your luggage will be delivered to your hotel. 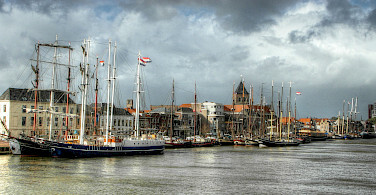 After visiting Zwolle, you can continue south along the lovely IJssel river on quiet, scenic bike lanes. Around lunch time, you will arrive in the quaint village of Wijhe. 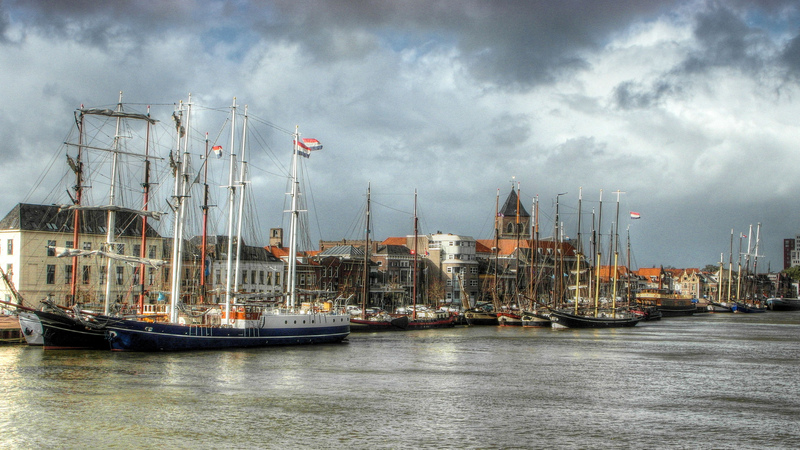 You can then take a ferry to the other side of the IJssel river, and bike back to Zwolle by a different route, passing through the picturesque Hanseatic town of Hattem before checking in at your hotel. 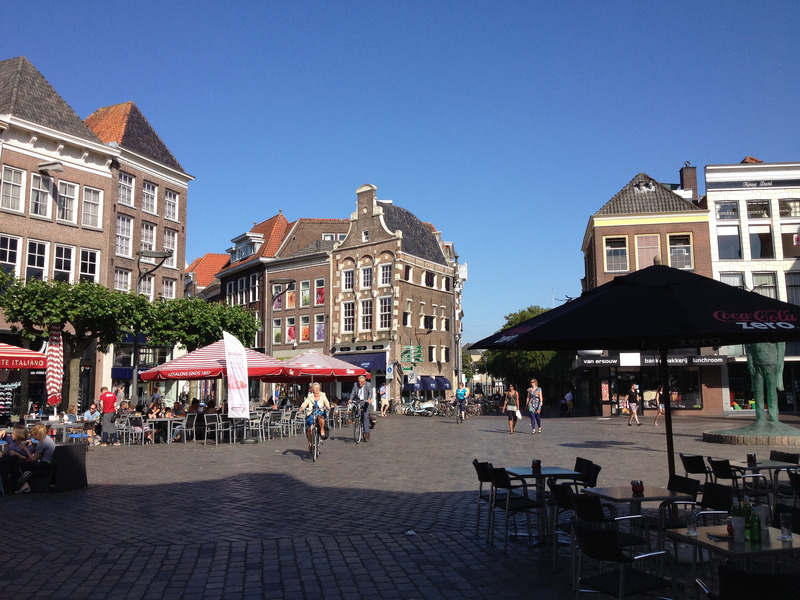 After a relaxed breakfast, you are in for a lovely ride to Kampen, a beautiful Hanseatic town which you will want to take some time to meander in. 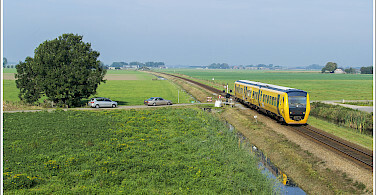 In between Kampen and Elburg, the route leads through the lowlands near lake Veluwemeer (part of lake IJsselmeer, former sea). Elburg itself is an old fortified village worth a visit. 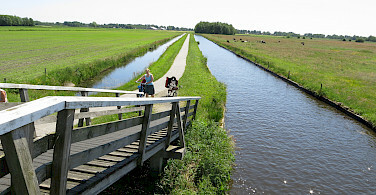 In the afternoon, as you cycle back, you will pass through lowlands, farmland and forest areas to Zwolle again. Today you will discover the Veluwe. This forest-rich ridge of hills features many different landscapes, including woodland, heath, small lakes, and Europe’s largest sand drift. The Veluwe is a popular tourist destination and especially beloved by bikers as it has an unique maze of quiet bike lanes to enjoy! 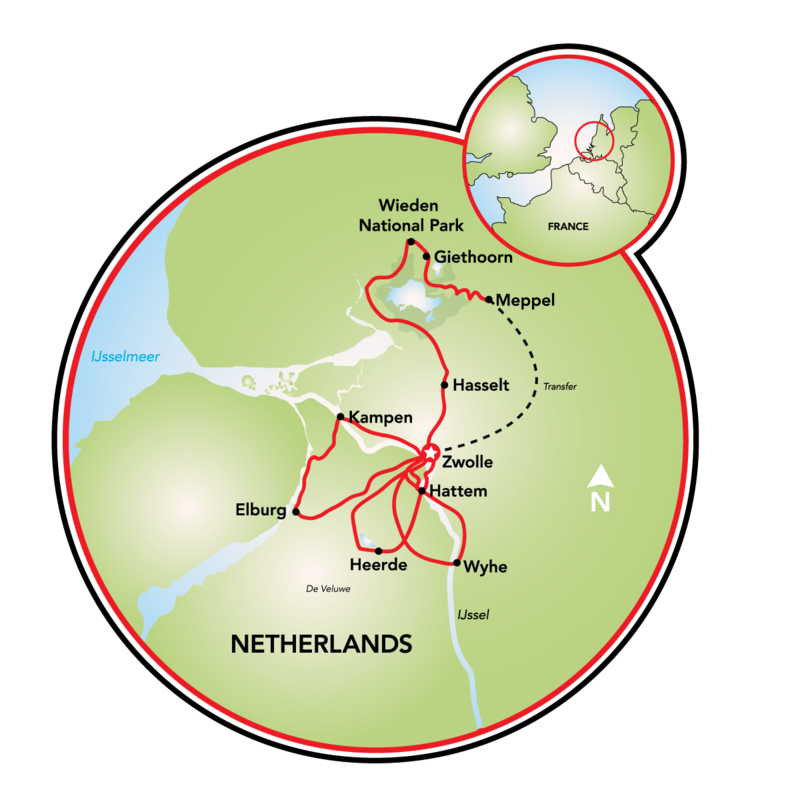 The north part of the Veluwe stretches till Zwolle so you will be biking through this unique nature reserve almost all day. South of Hattem you will pass a small watermill with some great estates and restaurants along the way. The ‘Heerderstrand’ lake, which you will also pass, is a great place for a swim, weather permitting. A common siting in the heatherfields near De Dellen are the herds of grazing sheep and if you are lucky you will meet the shepherd. 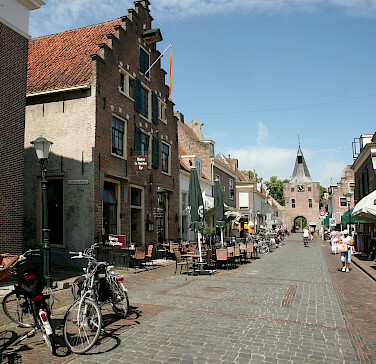 Afterwards, the route leads to the village of Heerde which has a lovely center ideal for a lunch break or coffee stop. Finally you will bike by a former train trail back to Zwolle once again. The final ride is maybe one of the best rides you can experience in Holland! Cycling to the north, the route passes through the quaint Hanseatic town of Hasselt, and then to the National Park de Wieden. This area is North Western Europe’s largest cane and swamp area and is a mixture of canals and lakes. 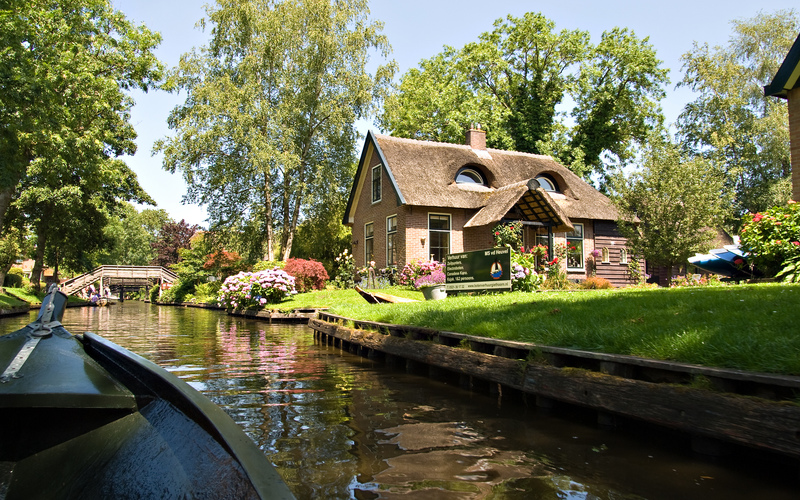 While biking you will be amazed by the lovely villages and finally the highlight of Giethoorn. The picturesque thatched farms surrounded by the lovely canals is what makes this village the Dutch Venice. Final ride is from Giethoorn to the historic town of Meppel where our local representative will be waiting to bring you back to your hotel in Zwolle.